This blogpost was originally published on the Eli Broad College of Business website and was written by Omar Sofradzija. To learn more about 36 Hours, click here. It’s one thing to know Detroit as the Motor City, a place of industry and home to the Big Three. It’s a whole other thing to see it through the lenses of the people for whom Detroit isn’t just a place where business happens; it’s where their lives are lived. 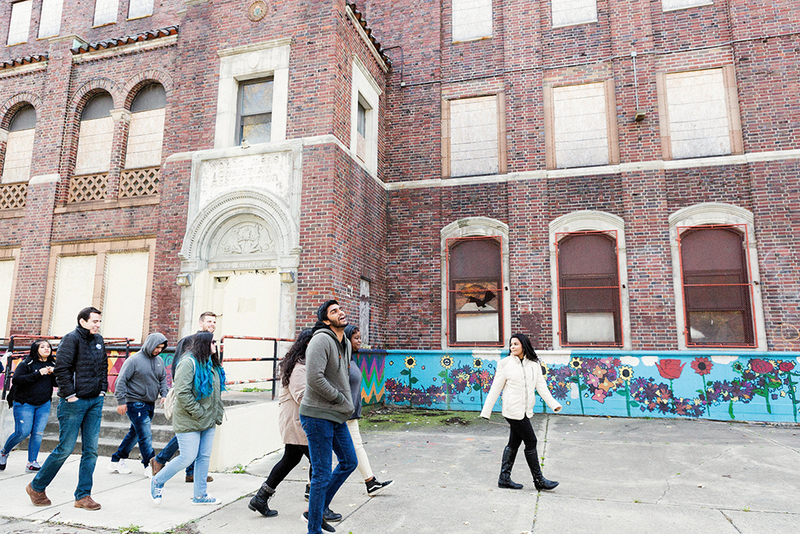 Above: As part of 36 Hours, buildOn students gave personal tours of their high school and the surrounding community, highlighting the service they have done to better their city. “We are going to be the future leaders and impact makers, and we need to ensure we are always paying our good fortunes forward,” Harris said. The activity was in partnership with buildOn, a nonprofit organization that runs youth service programs in American high schools, and builds schools in developing countries. It was founded by Broad alum Jim Ziolkowski (BA Financial Administration ’89). Broad MBAs annually conduct large-scale service in the Greater Lansing area; however, this is the first time they’ve engaged a partner in service outside Michigan State University’s home region. Above: The 36 Hours took place at three Detroit high schools—Cass Technical High School, Osborn Academy, and Western International High School. Immersions took place Nov. 9-10 with Detroit Public School students at 3 high schools: Western, Cass Tech, and Osborn. 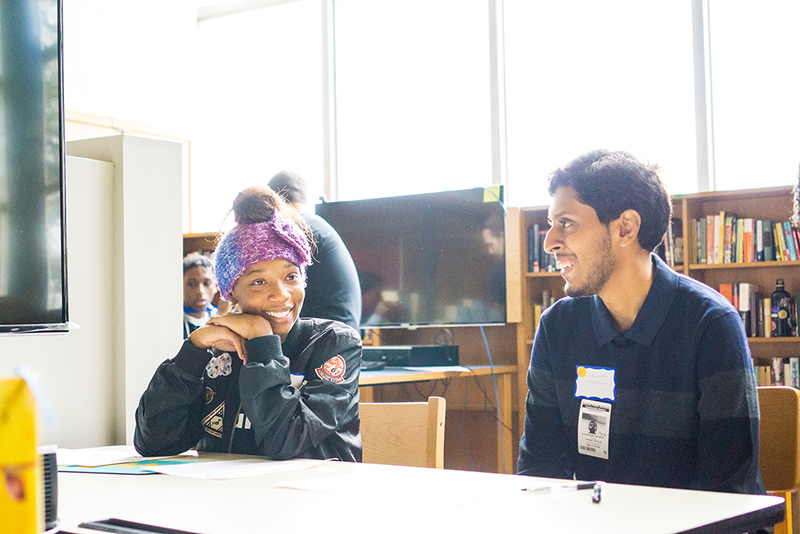 MBAs were paired with high school students acting as mentors to the MBAs. The teens offered testimonials, community tours, and insight into the worlds they inhabit and try to make better. The activities in which the group participated included community tours and service projects such as: distributing meal packs to people experiencing homelessness, a community cleanup and beautification, and a Dia de los Muertos community celebration setup and execution. 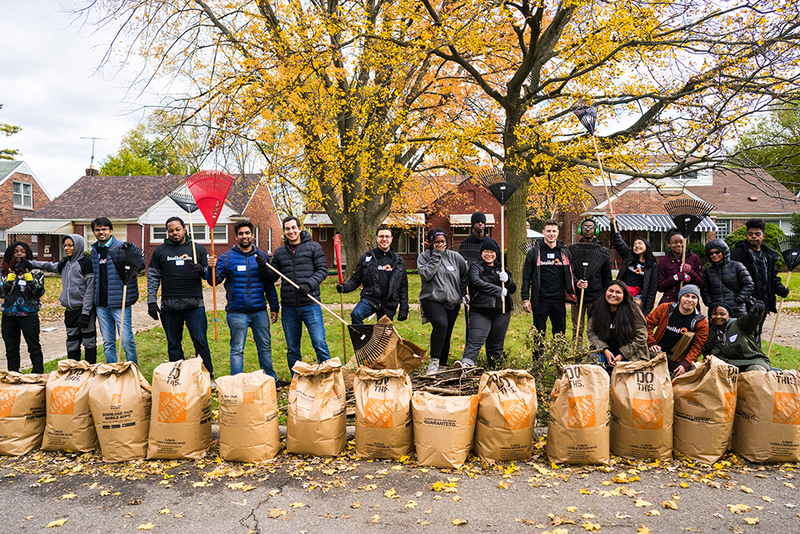 Above: MBA students and buildOn students stand behind bags of leaves they raked for elderly residents of Detroit. “Many MBAs intend to maintain connections to their buildOn mentors going forward,” Hutchison said. The involvement of Broad Spartans wasn’t helpful just to buildOn members, but to MBA students as well. “It is important for MBAs to do a service and community immersion experience like this because it provides an opportunity to separate yourself from the day-to-day routines and stress of grad school. Being an MBA, you work very closely with your class every day, are always studying or working on group projects and assignments, and can often forget there is a whole world outside of our MBA community,” Harris said.